Currently viewing the tag: "Structured Settlement Alert"
With structured settlements, timing is everything. 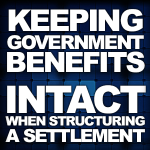 Wait until a settlement agreement is signed, and the opportunity is off the table. 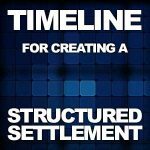 Here’s a simple structured settlement timeline. Medicare Set-Aside accounts (MSAs) have to pay medical expenses first and be depleted before Medicare pays for any expenses. 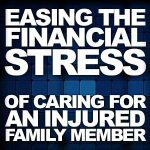 Injured parties have choices, manage complicated MSA account compliance themselves or hire someone. The “Self-Administration Toolkit for Workers’ Compensation MSA Arrangements” alone, is 31 pages long. Improperly follow procedures and Medicare may deny coverage. 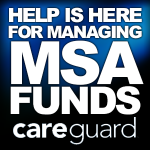 The second choice —professionally managed MSA accounts. When someone suffers a minor physical injury and a settlement is reached, the settlement funds offer financial peace of mind until the injured individual can resume normal activities. 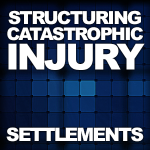 When a catastrophic injury occurs – requiring medical and personal care – the settlement takes on a more vital role. Settlements must last a lifetime so that the injured individual receives medical treatment and can lead as normal a life as physically and emotionally possible. Each catastrophic-injury case is different, but there are similarities that are the basis for determining the type of structured settlement to create. 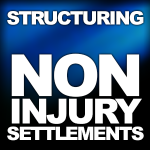 When most people think of structured settlements, they think of physically injured individuals, limited or unable to work, who must make their settlement last for years or even a lifetime. 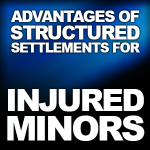 While this is true with most structured settlements, there are scenarios where a structured settlement may make sense for non-physically injured individuals - and for the defense. Even when cases do not qualify for tax-exempt status, the tax-deferred and financial planning aspects of the settlements could still make them worthwhile. Settling a case can be a cumbersome and time-consuming experience for all parties. 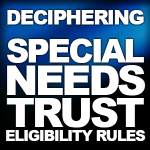 When the complexities of needs-based public benefit programs such as Medicaid and Supplemental Security Income (SSI) are added to the structured settlement mix, attorneys must be vigilant to ensure that the settlements they craft comply with all applicable laws while protecting their client’s current and future benefit eligibility. In addition, this is further complicated by dual-eligible clients with Medicaid and Medicare. When a child is injured, parents have much to think about. High on the list is the child’s financial needs during the initial recovery period and beyond for medical, rehabilitation and other experiences. A litigation practice, where most income is derived from contingency fees, is not for the faint of heart, particularly for solo and small law firms. While the eventual payout can be substantial, a firm can experience long periods where little or no income is generated. 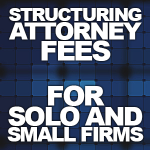 This can doom a small firm or solo practice without adequate reserves. 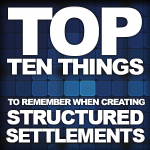 Counting down, here is the top 10 list of things to remember when creating a structure.